Piano Ensembles – Have fun as you work on your sight- reading and collaborative piano skills, with coaching in literature and techniques for various piano combinations. Piano Techniques – Invaluable hands-on work in es- sential piano techniques (scales, arpeggios, broken chords, octaves, and hand, wrist, and arm positions). Discussion and demonstration of various practice techniques, touches, and finger stretches, and examples from the piano literature. 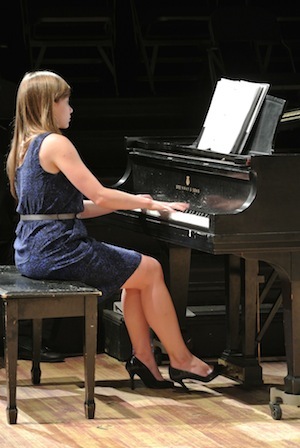 Sight-Reading and Accompanying – Daily supervised practice of basic sight-reading techniques with piano litera- ture. Learn, discuss, and practice valuable collaborative skills with vocalists and instrumentalists. 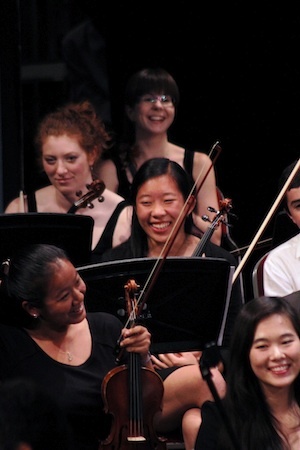 Violin/Viola Orchestral Studies & Technique – Prepare for youth or college orchestra auditions through an in-depth study of standard orchestral excerpts, sight read- ing, interpretation and style, stage manner, and more. Cello Technique & Ensembles – Develop proper techniques including bow arm and stroke studies, left-hand techniques, vibrato, tone production, and intonation. Double Bass Technique, Ensembles & Studies – Addresses the nuances of double bass performance via the study of scales, orchestral excerpts, and ensemble literature. 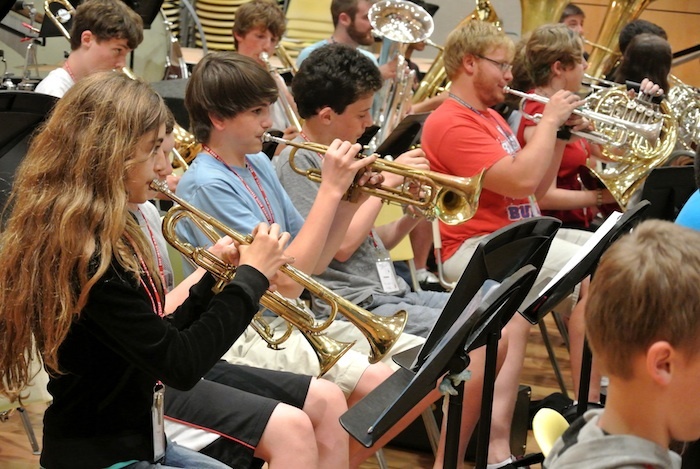 Brass Warm-Up – Led by the NYSMF brass faculty, students learn the proper ways to warm up their mind, body, and instrument for the playing day ahead. Covers a wide range of techniques such as breathing, mouthpiece buzzing, scales, arpeggios, sound concepts, and transposition. Beginning Composition – Designed for students with an interest in music composition that have little to no experience. Students will begin building compositional foundations and compose their very own piece with the help of the instructor and fellow peers. This class is an outlet for growing musicians to express their creativity in a fun and welcoming environment! Beginning Guitar – Open to all students. Explores the instrument’s basics, including left-hand and right-hand techniques, basic chords and scales, and hand positions. Beginning Piano – Fundamental piano technique for instrumentalists who wish to learn to play the piano. Conducting – An introduction to the techniques of leading larger groups, including beat patterns, dynamics, phrasing, tempo changes, cueing, cutoffs, interpretation, baton technique, and score-reading. Music History – The study of jazz, rock and roll, musical theatre, opera, etc. from antiquity through today. Music Theory & Ear Training – Includes sight singing in different clefs, singing and recognizing intervals and triads, and rhythmic and melodic dictation skills. Students will be placed in classes appropriate to their level.